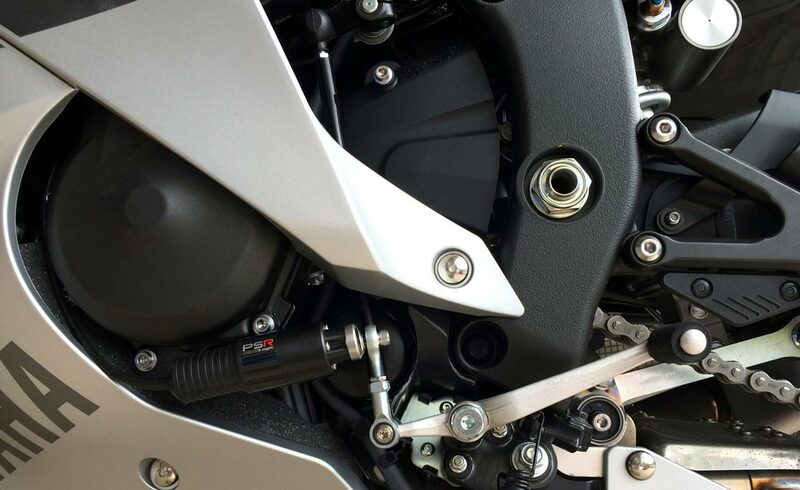 The TLS-PSR2 and TLS-PSR2-PRO systems come with a CNC machined aluminium bracket which houses the 2 weather proof gold plated contact tactile shift buttons and is suitable for mounting around 7/8" handle bars on metric motorcycles. For Harley Davidson models the handle bar bracket simply attaches underneath the left switch gear housing. For kart and race car installations the buttons can be installed into the accessory button brackets (TLS-PSR1-PRO-BB) to enable direct steering wheel fitment. Each button has gold plated contacts to ensure only the cleanest shift signal. Translogic's PSR-PRO systems feature the Intellishift and Blip Assist outputs ready for connection to the optional Intellishift and Blip Assist ECUs, also the PSR-PRO Powershift system can handle higher power and greater torque for dealing with heavier transmission loads and inertia. The Powershifter Push Button Gear Shifter system can be fitted to almost any application. A handle bar bracket comes as standard on PSR2 and PSR2PRO models and is either suitable for 7/8" handle bars or specific for Harley Davidson models. Once fitted there is no need for the gear lever any longer although gear can still be selected manually. Neutral can be easily selected by carrying out a 'half button press'.